BART protests planned for every Monday. A demonstrator wears a mask during a protest inside the Bay Area Rapid Transit (BART) Civic Center station. Bad news for BART riders. The hacktivist group Anonymous promises to protest BART stations every Monday until their demands are met. 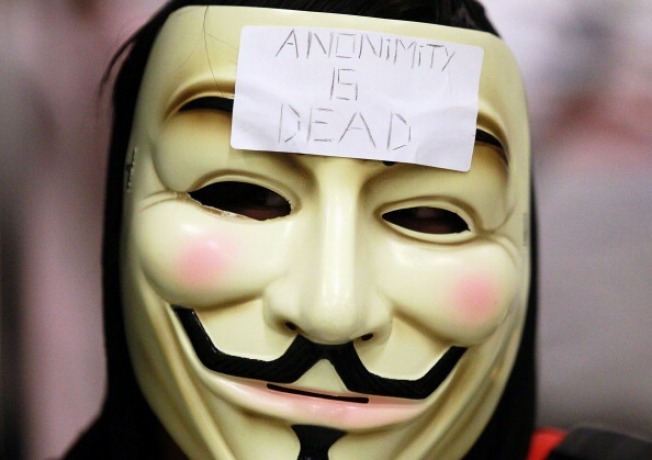 Anonymous has issued a list of five demands, all posted on their Tumblr Blog. Fire [BART spokesman] Linton Johnson and BART Chief Kenton Rainey. Mandate new training for all BART officers. Publicly apologize to the people for shutting down cell service. Take the guns away from the BART police. Reopen the investigation to the killing Charles Hill. BART protests started after the shooting death of Charles Hill. He was killed by a BART police officer, who says Hill had a knife. BART has suffered four protests in the past six weeks as a result of that shooting. The most recent one on Monday caused major delays for commuters and lead to dozens of arrests. Anonymous says its next protest is scheduled for Aug. 29.